A chimney sweep is a professionally trained expert who knows how to inspect and clean a chimney to meet all industry standards. Warning: not all chimney sweeps are certified. To be sure that you are getting the most qualified technicians, call on All Pro Chimney Services. Our crews are certified by the Chimney Safety Institute of America (CSIA) and the National Fireplace Institute (NFI) as gas, pellet, and wood burning specialists. Read this article about how to do a chimney sweep. What is the Biggest Cause of Chimney Fires? Dirty chimneys are the #1 cause of chimney fires, according to the Chimney Safety Institute of America. Without proper care and maintenance, dangerous creosotes (the residue left behind when you build a cozy fire in the hearth) can build up inside the chimney and become combustible. The best way to avoid this dangerous build-up of materials is to have your chimney professionally cleaned at least once a year. Does My Chimney Need Cleaning? Every chimney needs cleaned every 6-12 months. Depending on how often it is used and what fuel is being burnt in it. While a professional inspection can tell you exactly when a cleaning is necessary, a quick way to determine if it is time to call in a chimney sweep is to simply have a look up the chimney with a flashlight every few weeks. If you detect ¼ inch or more of soot and buildup, be sure to call All Pro Chimney Services for an appointment. Every time to burn wood in your fireplace, the smoke condenses, creating a thick tar like substance that sticks to the walls of the chimney. This buildup is extremely flammable, and left to become too thick will eventually ignite. Leaking Flashing: this is the metal that connects the chimney to the roof. If this becomes loose or damaged, leaking can occur. You want to read this article about flashing leaks. Improper waterproofing. Your chimney is exposed to all kinds of weather (rain, snow, sleet, wind). This of course requires diligent waterproofing to ensure that leaking does not occur. You can find additional causes of chimney leaks here. Why is a Chimney Liner Important? A chimney cap is an essential part of your chimney safety equipment. Not only does it prevent debris like leaves, water and dirt from getting inside of your chimney and clogging it, but chimney caps help keeps those live embers from getting onto your roof where they may ignite. Remember, one small spark can cause a house fire, so keeping a chimney cap on the top of your chimney is a must for safety. Chimney swifts are a specific type of bird that like to build their nests inside of chimneys. The biggest problem with a chimney swift infiltration is that it is illegal to do anything about it since they are a federally protected species. Chimney caps are the best way to prevent a problem. Learn more about chimney swifts.here. Most chimneys need to be cleaned at least once a year. 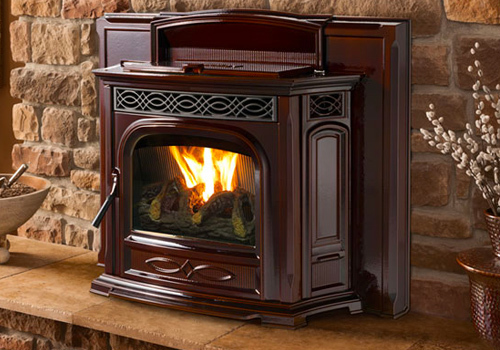 Of course, a lot depends on how often you use your fireplace and what kind of fuel (wood, pellets, etc.) you are burning. Some chimneys need swept twice a year and others even more often. To determine the best cleaning schedule, call in the experts at All Pro Chimney for an inspection. Our licensed technicians will be able to determine how often a chimney cleaning will required to keep you safe and your chimney well maintained. Cleaning a chimney can be a dirty job. A trained technician knows how to sweep the chimney with minimal mess. How Do You Fix Loose Chimney Bricks? Pointing is usually the best way to fix a few loose bricks on your chimney. During our inspection and maintenance process, the technicians at All Pro Chimney will gladly fix any loose bricks they may discover. Do I Need a Chimney Chase Cover? Also known as a chimney cover, these metal caps go over the chase to keep debris and even small critters from infiltrating your chimney and causing havoc. They are very important in regards to chimney safety.